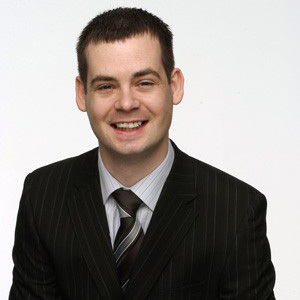 Sinn Féin TD Pearse Doherty has outlined Sinn Féin’s opposition to water charges at a speech to the MacGill Summer School. as part of the financial bailout in December 2010. They said at the time that they got “the best deal”. I strongly disagree. The Labour party – at that time anyway – also disagreed that it was the best deal possible and they went onto fight the 2011 General election seeking a mandate to renegotiate the bailout programme. We know now that the Labour party acquiesced and as a result, are relentlessly forcing ordinary working citizens and families across this State, who cannot afford to pay another stealth tax – to do just that. It is shameful and it is totally unnecessary. The Irish citizens who placed their faith and trust in both Eamon Gilmore and Joan Burton in 2011 to defend them, their families and communities the length and breadth of this state, have been trampled over and discarded. They have rammed through yet another stealth tax on the people, in order to repay a banking debt that is not theirs. But people are resisting as we see from huge numbers who have refused to pay and I’m glad to count myself as one of those. To those that have paid and those that have refused to pay Sinn Féin’s message is clear, if in Government, Sinn Fein will abolish household water charges. To those that have refused to pay or are considering not paying my commitment to you is if Sinn Féin forms part of the next government we will not pursue any citizen or household who has not paid. We will repeal the draconian legislation forced through the Oireachtas by the Fine Gael/Labour majority put this saga in the dustbin of history where it belongs. And, let me assure you all, that unlike these other parties we do not make promises that we will not keep. I believe that the political choices a government makes are defined by its view of society, its ambition, its ideological anchor and the interests that it seeks to represent. We need a left-republican Government with core values which reflect Irish society. Sinn Féin is deeply committed to the core values of peace, social equality, economic prosperity and Irish unity. These are the key planks where we are concentrating our effort and attention. We need to rebuild the economy on the basis of a progressive, fair and a sustainable social and economic model. It does not exist under this Labour/Fine Gael government. Their approach has been to inflict a policy of failed austerity economics at a huge cost to society and the social fabric of Ireland. Next year as we honour those who fought in the cause of Irish freedom during Easter 1916 and reflect on the vision set out in the Proclamation – we must wake up to the fact that Ireland is now at a cross-roads. We are at a critical juncture on how we decide the future society and the type of Ireland we want to fight for now – 100 years later in 2016. This means new economic thinking, new ideas and an honest and coherent political approach, a real break from the past, from the same old, same old that what we are getting now. It means organised political leadership to take us forward with a plan to confront the challenges and solve the problems as a new democratic Government. Providing reliable high quality public services and infrastructure including water and sewerage services – which are economically sustainable – is a major challenge which does need addressed. However, we must get it right and not simply get it done. Sinn Féin has first-hand experience and a strong record of delivering exactly this in the north. In May 2007 when the power-sharing institutions at Stormont were restored, Sinn Féin committed to reverse the plans of British direct rule Ministers to introduce household water charges because taxpayers were already paying for these services, as we are here in this State through general taxation. Sinn Féin also ruled out any future privatisation of these critical public services by ensuring that the Executive, under the Department for Regional Development, remained the sole shareholder of the newly established utility company, NI Water. This was a firm pre-election commitment and we delivered it. Today, according to the Utility Regulator in the north, households save an average of €490 annually as a result of our decision. At the same time between 2007-11 over £1billion sterling was invested under Sinn Féin in a major upgrade of the North’s water and sewerage infrastructure benefiting almost one million households and businesses. This has improved drinking water quality, protected the environment and supported the local economy. The Fine Gael/Labour government knows what was achieved in the north under Sinn Féin. However, despite seeing how our approach worked to deliver efficient water and sewerage services, Fine Gael and Labour and Fianna Fáil have chosen to ignore it, and impose an unfair household water charge on families in this State through the toxic utility – Irish Water. Fine Gael and Labour as already mentioned have taken an approach to simply place the burden on working families by imposing a policy of relentless austerity, cutting services and investment. They have a conservative mind-set that believes that the state should not intervene in the economy, except to provide subsidies to the private sector and bailouts in periods of economic crisis. Therefore, in line with the EU/ECB/IMF and the bailout programme agreed in 2010 when household water charges were made concrete, theirs is a completely one-sided view of public utilities. Where there are both revenues and outlays – they see only the latter. They only see liabilities not assets. They only see gross debt not economic function. Inevitably this narrow limited economic thinking leads to blunders, which they then seek to address by loading more costs or charges onto hard-pressed citizens and households. The progressive alternative that I am advocating is to see public water services as a vital part of a modern economy, with large potential benefits from investment in running efficient services. The service properly belongs in the public sector as a highly regulated public service accountable to the Oireachtas and therefore the citizens – not half in and half out. Our water services suffer from long-term under-investment. This is responsible for the extremely poor quality of water to many households and its unreliability, as well as repeated failures to invest in flood prevention which have led to a number of damaging and costly crises. Like much else, the chaos of Irish Water relates to a sustained period of underinvestment, with very poor infrastructure spending largely confined to the cities and insufficient investment since, including the North-West and in particular county Donegal. There was a period, through the various National Development Plans of the 1990s and beyond where large-scale investment in water services did occur, with notable improvement in service and quality through modernisation. However, this has stagnated under the current Governments austerity policy which has targeted public investment in key services for cuts. In the event, the proposed capital expenditure plan for 2014-2016 was €1.77bn . The borrowing component of that is guaranteed by the State. It is very difficult to see how this could be otherwise, given the parlous state of Irish Water’s finances and uncertainty surrounding its funding model. In terms of future funding, there is no prospect whatsoever of a company like Irish Water being able to borrow at interest rates below those of the government. It would only be able to lower its interest rate somewhat towards government levels through the operation of a State guarantee (either implicit or explicit, which would itself impact on the cost of borrowing). The State cannot avoid these costs, in one way or another. If we take the €1.77bn sum as a baseline for investment on a rolling basis we can assess the impact of that investment. An investment sum of €1.77bn will yield increased output in the rest of the economy of €2.6bn. In addition it will yield €600m in increased employee compensation and €200m in additional taxes on production. Each of these will also directly and indirectly impact on government finances. The government has been desperate to keep it ‘off balance-sheet’ as this will impact the metrics used under the Excessive Deficit Procedure and the Medium Term Budgetary Objectives under the Stability and Growth Pact. But this is proving difficult under the 50% revenues rule, where half of more of the operating costs must be met by commercial revenues. Such is the mess the government has produced, it has also now created an entity whose ability to borrow at all (even expensively) is severely compromised because of reliance on the capped household charge. The government has effectively folded Irish Water into Ervia in the hope of disguising this problem and the related problem of now useless meters and other issues. The Government used its usual scare tactics against those of us who advocate abolishing water charges. They said it would leave an €800 million hole in our budget and deficit targets couldn’t be reached. Irish Water as being “on book”. That is the current situation. And even with Irish water “on book” Minister Noonan said the government had between €1.2 and €1.5bn of fiscal space and still meet all our deficit targets. It means that the only cost to scrapping household Water charges is the €271m expected in domestic Water Charges. There would be savings to offset this cost. The €130m earmarked for the so called Water Conservation Grant would be redundant. Likewise the €6million administration costs of this Grant would be saved. Much of the approximately €20m in billing costs associated with Irish Water would be saved too. So we see how the abolition of water charges is more than affordable well below €130 million. And this is based on full payment by household which is not happening and will not happen. As payment levels stutter at below 50% it is conceivable that even in simple budgetary terms abolishing water charges is achievable and even prudent. Ervia’s profits in the most recent year were just €380m on an EBITDA basis*. By contrast, depending on which measure, profits, assets, net borrowing ESB is between 3 and 4 times the size of Ervia and would arguably be in a better position to support a large-scale government investment programme. Arguably, ESB is in fact a much more attractive and viable host for a public water services company. However, that debate is for another day. What is required is a public water utility that is not Irish Water. We need a public sector water service which is directly accountable to the Minister and both should be accountable to the Houses of the Oireachtas. A water service that is managed by a publicly appointed board which is fairly balanced to represent the economic, environmental and societal and community interests which serve both the public service and the public interest – including the workforce. A stop put to metering and priority given to fixing the massive leakage problems and interruption to supply across the state which I understand average 49%. Funding should be generated through mixed income of which the majority is through public subsidy from the General exchequer, in addition to non-domestic charges, commercial borrowing. There should be no duplication of services being delivered by any public water service and Local authorities but service agreements should exist because local knowledge and experience cannot be underestimated. For an island the size of Ireland it does not make economic sense to have two public water systems. The service north and south should be connected and the services operated and costs shared on an All-Ireland basis. A government with the political will can provide reliable high quality water and sewerage services – which are economically sustainable. The starting point for Sinn Féin will be the dismantling of Irish Water and it’s replacement by a new model of governance, funding and delivery within full public ownership and democratic control and accountability. We will establish an independent Commission on Water Services to examine the best public ownership model.